Lazy Sunday mornings are one of my favorite times during the week. Where the soreness from a week of training is still apparent but feels much better, and I get to sit on the couch by the window and listen to some Led Zeppelin, while enjoying my coffee. 2013 feels like a rapid chaotic trip playing in slow mo. So much has happened yet other tasks, like unpacking and training consistently, seems to be taking forever to get started. 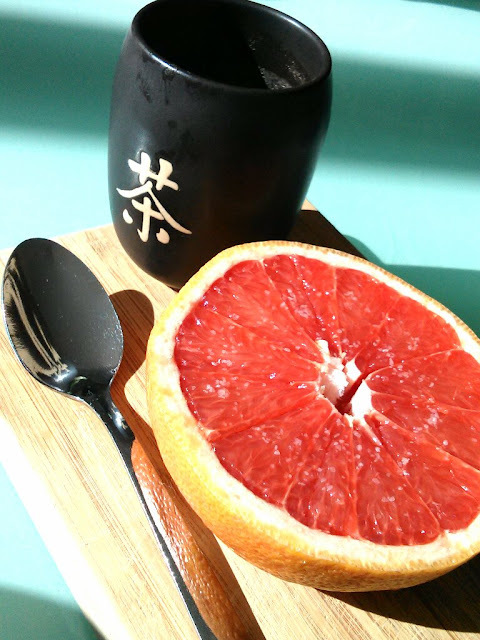 For now I'll enjoy my salted grapefruit and enjoy some more quiet time before going about my day.